In today's connected world, it's not how much you pay; it is how much coverage you get. This election will probably go down in history not only as the nastiest one but also as the one won by earned "free" media. Hillary Clinton outspent Donald Trump in the airways by a margin of 5-1. Total Clinton camp spent $156 million versus $33 million from team Trump. However, when you add earned media to the mix, it is not even close. According to data-driven analytics firm mediaQuant, Trump received around $5 billion in free media coverage, more than twice that garnered by Clinton. Putting aside the message, we can say that media obsession with Donald Trump helps him get elected. Donald Trump might hate the media, but they are both winners in this election. Trump got more coverage than any other candidate. 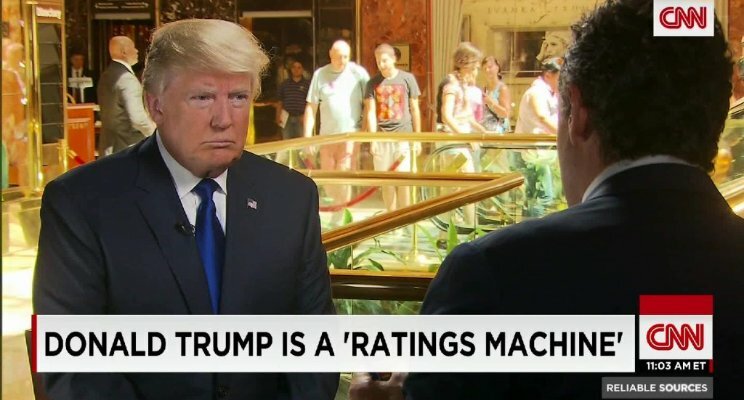 The media in return benefits from Trump ratings. Total primetime viewership was up 50% from last year across CNN, Fox News and MSNBC, and viewership in the lucrative 25-54 demographic was up 55%. The same principles apply to brands today to a certain extent. People don't trust traditional paid advertising. They hate being interrupted by ads. They only want to engage with the content they love (e.g., Game of Thrones, John Oliver, SNL..). As a result, the more your brand can become part of what people love, the more attention it'd get.